Open-wheel and sports car champion Michael Krumm will take some time out of his hectic international schedule the next few weeks to answer questions and pass along advice as the latest Online Driving Instructor. In addition to his numerous accomplishments on the race track, Krumm is the author of Driving on the Edge: The Art and Science of Race Driving. Questions can be submitted through August 21 with the first round of daily answers from Krumm beginning August 22. 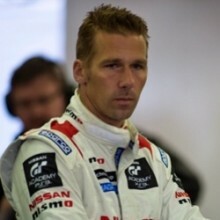 Michael Krumm, 43, who hails originally from Germany and has lived in Japan for most of the past 20 years – and is married to professional tennis player Kimiko Date-Krumm – is among a select group of drivers who have won championship titles in four different decades. He has authored a book based upon his wealth of experience, Driving on the Edge: The Art and Science of Race Driving, published by Autocourse, which has drawn rave reviews. Krumm started his career in karting at age 14 and graduated to cars in 1988, winning the German Formula Ford Championship the following year and the German Formula Opel/Lotus title just one year later. He progressed quickly to Formula 3, winning races in Germany and earning an invitation to join the factory-backed TOM’S Toyota team in Japan. He won the Japanese F3 crown as a rookie in 1994 and never looked back. His speed and fast-improving technical ability led to more opportunities in Japan, where he has raced successfully in Formula Nippon open-wheel cars as well as touring cars and Super GTs. His many accolades include a pair of All-Japan GT Championships, in 1997 and 2003, and the FIA GT1 World Championship in 2011, driving for the Nissan factory-supported JRM Motorsports team. He has raced six times in the 24 Hours of Le Mans and has earned two podium finishes, including one in June in the hard-fought LMP2 category aboard Greaves Motorsport’s Zytek-Nissan. 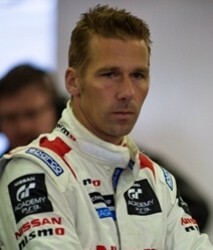 Krumm, who has raced for Nissan since 1998, currently competes in the Japanese Super GT Championship and plays an active role in helping graduates of the acclaimed Nissan GT Academy in making the transition from sim racing to top-level professional racing. Michael Krumm answers your questions! What different driving techniques do you use when driving in an endurance race, like the 24 Hours of Le Mans, compared to an open-wheel race? Le Mans cars nowadays are very similar to open-wheel cars in terms of performance and driving technique. The only difference is that you might have to consider fuel consumption and material usage in an endurance race. Even if saving fuel won’t allow you to do an extra lap in cases like Le Mans, the refueling time will be shorter as a consequence. In order to achieve this, you generally try to carry more speed through the corners in endurance races. You do this not by braking later, but by braking with a little bit less pressure if you can. As a consequence you don’t slow down as much and automatically corner faster. Brake wear is also something you need to keep in mind in endurance racing, so by braking less, you automatically reduce wear. Tire wear is another subject for endurance racing, especially in heavier GT cars. You have to manage your pace towards the performance of the tires. Be aware that high-speed corners with the highest lateral G forces do the most damage to tires in general. So driving just under the limit in those areas can make a tire last much longer. But having said all that, it is essential before any endurance race to talk to your team’s engineers. Maybe there is no fuel issue or brake wear issue, meaning outright lap time is more important than anything else. Many endurance races today are full sprints, and in those cases, there is no difference in driving technique. I have heard quite a bit about the Nissan GT Academy program, but how can I get involved in that? This is a potential chance for anyone to become a professional driver – it’s a unique opportunity that Nissan provides here. But be aware that this is very hard work. I had my own share of online driving in the early days for training purposes, and working with Lucas Ordonez and Jann Mardenborough at Le Mans this year made me realize why they succeeded. In order to progress through the Nissan GT Academy program, you need huge determination and a tremendous work ethic. It takes many hours of daily diligent training and you have to overcome many setbacks. As I have experienced it myself – practicing three-to-four hours a day, fighting lots of frustrations – I am not surprised at all to find the winners of the GT Academy program to be hugely competitive professional drivers with amazing speed. You have had lots of experience driving all kinds of cars. In your opinion which car that you have raced has been the most enjoyable, and why? And which was been the most challenging? Thanks. That is easy to answer, as I really like the GT1 Nissan GTR, and not because we won the Championship with it, but because the concept worked out so that the cars had a healthy power to grip ratio. We had 600bhp but also carbon brakes. There was a lot the driver could do to influence lap times. On the Formula side, it was the Champ car I raced before with 900bhp and lots of downforce. Also there the grip to power ratio was very good as the cars were also heavier than, for example, an F1 car. The most challenging car I drove just a few weeks back in Australia, the Nissan Altima V8. It has a lot of power (around 670bhp) but very little grip to work with. I didn’t race there yet, but it is definitely one of the most challenging cars I have driven. I have done most of my driving in South America but I am looking to race in England next year. I have never raced in the rain. What are the keys to driving in the wet and how can I get some experience? In the rain, the limit is much lower, meaning you slide earlier, brake earlier, etc. So it is easier than in dry conditions looking from that point of view. The technique in general doesn’t change much. You want to have the car moving on the edge at all times. The dangerous thing in the rain is that once you go over the limit too much, it is very very hard to get the car back onto the track as momentum carries the car much further than in dry conditions (especially if you hit wet grass). So even though everything goes slower, you actually have to react faster to catch a sudden oversteer for example. What will be much more tougher for you will be the lack of visibility. If you have never raced in the wet, and in the UK you will experience rain for sure, you’ll be in for a shock at how little you can see following any car, let alone a group of cars. You have to learn to drive by looking at the side of the track at the braking boards to get an indication of when you should brake. Don’t be discouraged if you find it difficult to stay flat out pretty close to other cars with zero visibility on the straight lines. It is a nightmare for any level pro driver as well, if they admit it or not. I have more details in my book regarding racing in the rain, maybe you can check that out! Hi Michael, which racing car format (open-wheel or closed) do you believe has more potential in the future in terms of outright performance and popularity? In terms of popularity, closed-wheel racing is more popular in general compared to open-wheel racing, with the exception of Formula 1. Closed-wheel racing allows for more exciting battles as more contact between cars can be made in general without damaging the cars too much. Also the cars look more appealing to most fans as it is easier to identify yourself with a closed car rather than a pure open-wheel racing car. 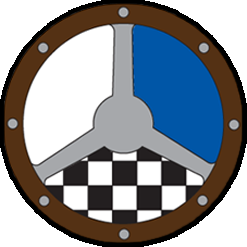 In outright performance the open-wheel cars are always stronger as the center of gravity (CoG) is much lower and the cars are very light in general. As a driver you need faster reaction times in open-wheel racing in all areas, and for a driver it is still a “must” today to learn the basics of racing in any open-wheel category. Mr. Krumm, What do you believe is the key to finishing on the podium in the 24 Hours of Le Mans? Many factors have to come together to be on the podium in such a long and tough race. Almost a given in these days is that you have no technical problems. Hence the team members must be experienced and alert at all times (especially during practice sessions). Then the drivers must avoid getting into trouble, like hitting other cars or excursions into gravel traps. This is easier said then done especially when it is dark and it suddenly rains for example. So luck is the other factor. For example, this year we had some contact with other cars during the race, but it was very lucky that it didn’t slow us down or forced an unscheduled pitstop. But that can go the other way any time. So in our case we did all that was described above, but we still didn’t win the race. In order to win, you have to get through the race totally clean, and you must be one of the fastest cars in the field as well! Who is or has been the driver you get the most satisfaction from racing against? Tom Kristensen. As a long time friend and rival, it always feels great to fight him with him. But in fact I enjoy racing against anyone who is really good at their race craft while keeping it all tough, but fair. Just like with Tom, mutual respect is the key here for good racing. What is your opinion about the various head restraint systems that are available these days? I personally only used the HANS device so far, as when you share cars like in Le Mans it is better to have the same system for seat making. I am aware that there are different systems on the market, some which may or may not protect you better. I had some serious impacts with HANS, forward and backwards, and so far it worked very well for me. There are almost as many driving styles as there are drivers. Some, like Jackie Stewart and Jenson Button, are regarded as being “smooth” drivers, while others such as Gilles Villeneuve and, nowadays, Lewis Hamilton, seem to be a lot more aggressive with their steering movements. Is there a “right” way and a “wrong” way or is it really just down to each individual? Both technique’s work, but it depends a lot on specific corners of a track. Sometimes you need to aggressively rotate the car quickly in order to produce a good lap time. But if you have a the chance to drive like Button, then this is the better way to go as long as it is fast enough. The ideal case would be to drive qualifying like Hamilton and the race like Button. Hamilton uses and abuses the tires and hence creates great lap times. In the races he is too hard on the tires sometimes and he cannot get the results. But if they would all race on harder tires where tire wear doesn’t matter, then I will have to say to drive like Hamilton. If you are involved in GT Racing and not super light Formula cars, then tire wear will always be an issue. In the race, you must avoid going to the limit at all corners with high lateral Gs. They damage the tires the most. For qualifying, yes, aggressive works, but in the race it is not an option at all. Can you please explain to me the difference between oversteer and understeer? Are they different when you’re talking about front-wheel-drive cars and rear-wheel-drive cars? Understeer (u/s) and Oversteer (o/s) are the same for front, rear or 4-wheel drive cars. Let’s start with u/s. Imagine you go around a 180-degree hairpin and you have your line where you want to drive decided. Let’s say you brake too late and as a consequence you arrive faster to the hairpin than your car can take. Release the brake now and try to turn in as planned, and your car might just miss the planned line and continue to go straight for a while (until you have slowed down enough or braked again). This “going on straight” is called understeer. You lose the front grip, simple as that. Let’s consider o/s. You do the same thing as described above and instead of the front losing grip and you going straight, you will tend to spin. There is not enough rear grip and the car will oversteer and spin if you don’t countersteer. You can remember this by saying the rear wants to “overtake” me, hence oversteer. I’m curious to know more about the importance of fitness in racing. I know the cars at the top levels of the sport are more physical to drive than they used to be, due to the increased grip from the tires, but at what stage in a driver’s career does fitness really begin to make a difference? Racing in the days before power steering and paddle shifting was much tougher actually. I remember in the 90’s in Japan, it was almost impossible to do three consecutive laps at Suzuka in a Formula 3000 car in qualifying mode. Having said that, you are right. Corner speeds are getting higher and higher, depending on the category that you race in. You might not need the pure peak muscle power to turn the car, but the high lateral G-forces are pulling on your body all the time and this tires you out. What happens next is that your focus of attention goes into the tired part of your body, and that is the moment when you are out of the zone and lose concentration. That is how most driving errors happen. So it is very important to have a good training plan where you do both cardio and muscle training. It doesn’t matter if you are in a lower category, you should keep fit and sharp, as you need the same amount of concentration as the guys in the top categories. Also physical training is an underrated form of mental training. Pushing yourself to your limits almost daily in the gym, prepares you mentally to operate at the limit. And the stress in racing, no matter which category, does push you to your limits. Hi Michael, thanks for the time. When you are looking at a team or a team is looking at you, what are some of the things you do to convince them that you are the right choice? In the formative stage, when you are taking funding to a team, you have to look at the teams record, meet the engineers and mechanics and be sure they can do the best job for your budget and that they are motivated to win and help you to progress. As professional opportunities develop and you are progressing it is very much a case of trying to make the right moves for your career and trying to get into the right teams and cars at the right time. The people you deal with at this level are very experienced mostly and there is little you can do to convince them. They will look at your statistics and profile and make their decisions, so in this case your CV and professionalism along with your character and indeed nationality in some cases tend to dictate a great deal for manufacturers or professional teams. I was once told I was ideal for a job but had the wrong passport for the sponsors….. Through your career, which category of racing, either amateur or professional, did you find the competition to be the highest? In karting, I found the competition the toughest. Everyone is so close together, it is really tough to make a difference at times. As it is the most affordable form of motor racing, there are so many more talented guys around compared to other categories. If we talk car terms, then I’d say that the GT3 category as used in Europe or at the Nurburgring 24h, for example, is one of the toughest. The cars are relatively easy to drive very fast with ABS and traction control helping you out but to make a difference to another top driver is extremely challenging. I was wondering if you had any advice regarding racing overseas? I am currently racing in the United States but my backer is in the process of trying to put me in an F3 seat next year in Europe. Any comments or advice are appreciated! Firstly, depending on what you have been doing, going from the USA to the British or FIA European F3 championship is a very tough thing to do. ONLY do it if you have the right budget and can put a full test program in and be with a competitive team. F3 is still the best category to learn the full skill set that you need to really succeed in motorsport. Ideally you will need a budget for at least two years to show your full potential. Not knowing your age or experience it is difficult to give further advice, but if you want to be successful in Europe it may be worth looking at Formula Renault Europe 2.0 for a season or two before going to F3. And definitely get some testing as soon as possible with a trustworthy team to understand your true level before committing to anything. Get your backers to talk with several people who know all the teams and championships to make sure you don’t waste any of their budget. Do a lot of checking before making the move. How do you stay focused and keep your concentration when you are in the car? Thanks. Always try to make every corner better or more perfect than the lap before. That way you have a clear target and you try to improve your performance all the time. That is only possible when you are fully focused. Sometimes there are phases during a race when there is no one around you, this is the ideal time to do this exercise to keep yourself within the maximum attention zone. When you are down because of physical exhaustion, then I always remember my wife’s words (Tennis player): “It is when you are physically down that you have to double your focus and concentration.” Sounds maybe crazy, but I promise you it works 100%! I’ve been driving on the street for about three years now and am trying to get into racing. My biggest question is about feeling the car and the road. What is the most important thing to feel for when going around a race track? And how does one raise one’s sensitivity to those things? Does sensitivity come with practice? Thanks. Very good question, thanks. When you go around a race track, you should focus on feeling the tires and its connection to the road. It is easier at the front since you are connected through your steering wheel. Try to feel when the front slides away from your intended line. That is when you start to have understeer. Now try to repeat that and try to feel the moment before (or just as) it happens. The same for the rear, but it is a bit more tricky. You have to feel the rear with your bottom. What you will eventually feel is that the car wants to turn more than you have actually intended to. You can detect this not just in your bottom, but in your balance center in the brain. This change of the cars attitude is called Yaw, and it is the starting point for oversteer. This is the same for corner entry and exits in general, but at exits you have another challenge to deal with. That is the feeling for the traction of the car. In many modern categories nowadays you might not need this ability as traction control is engaged at most times, but nevertheless it is an important skill to have. There you feel this through the accelerator pedal while feeling in your bottom whats happening to the rear (in case of rear wheel drive). When you are super sensitive, you might feel a little less forward acceleration when a wheel starts to spin, or you might hear it in the engine revs, and you have to modulate the throttle fast to keep the grip. Ok, now this is not something everybody can feel immediately. It takes practice, practice, practice. Once in a while there are super naturally gifted drivers coming onto the scene. One was Michael Schumacher in my early days in Germany. He had all the feeling already from his first test in a race car. But then again, he was doing Karting since he was four-years-old. So like any other sport, you have to keep practicing these skills and you will get it eventually. I know you have worked closely with the sim racers who have come through NISMO’s GT Academy but how much do you use simulators yourself? Have you tried some of the racing “games” such as iRacing? I tried a lot of simulators in my career and I have the Playstation myself for basic practice. I was hooked into the world of online racing when it first came onto the scene, and spent three to four hours daily to practice, just like the GT Academy kids are doing. Nowadays I practice the circuit and car before a race or a test in order to get my muscle memory hooked onto the coming event. But, unfortunately, I don’t practice for fun much, as I don’t have the time, but rather simulate the real situation, even if that means slower times at the sim. We need to make an effort to keep things real; the programmers can only do so much to give us a virtual reality. I haven’t actually tried iRacing much yet, but I know about it and how cool the graphics look. I have been racing for a couple of years and I am getting closer to the pace of the leaders, but I still need to find a few tenths of a second each lap. How would you advise me to start chasing those last little bits of time? Let’s say you have no data-logging to look at, or no time to do so because you are looking for lap time in the middle of a session, then you need to do a quick self-check. I do this ALL the time. Ask yourself: ‘Am I at the absolute limit with the car at all areas of the corner?’ Make a true assessment about your driving. Can you brake later? Are you braking too late and over-driving? Are you using all of the race track to its maximum width everywhere? If you have data-logging to look at – and comparisons with a teammate – then it is easy, because you will be able to read from that data in which areas you are losing time. Typically, the time loss takes place in two different areas. The first is the braking area. Are you braking as late as your car can permit at any time? If not, check your brake pressure – you might not be decelerating the car to its maximum potential. The next is the cornering speed itself, combined with your technique. Every corner needs a different approach. That’s what separates the top guys from the rest. In some corners you need to carry lots of speed, whereas in some other ones you will need to rotate the car at lower speeds with trail-braking. Once you have figured out which technique is best for each corner – have a spotter for you to check what you are doing compared to the competition – you can adjust your approach by adjusting your braking phase. Braking later gives you automatically a higher corner speed, as does braking more softly…which has the additional benefit that it makes the car less prone to nose-diving and hence avoiding pitch-oversteer at entry. The last few tenths are the most difficult to find, and you need to be perfect in every area of driving to find these. It will finally be the difference between making it as a professional or not. The whole purpose of writing my book Driving on the Edge was to let the reader know how to find those last and essential tenths. I suggest you take a look at this and I am sure you can find lap time very soon by applying some of the simple techniques described. My ultimate goal is to win the 24 Hours of Le Mans. Do you think it is important to start racing in open-wheel cars or should I concentrate right away on GT cars? Definitely you want to learn your basics in open-wheel racing. Nowadays the sports cars at Le Mans, in the LMP1 and LMP2 classes, handle almost the same as open-wheel cars. You will see that all the top guys there came from formula car racing. That’s not a coincidence. The modern prototype cars’ low center of gravity and huge amount of aerodynamic downforce, combined with light weight, is the reason for this. Also, if you look at the GT class at Le Mans this year you will see that it is full of ex-formula car drivers from the top level, too. Once you are competitive in a Formula 3-like car, you can easily switch to the LMP categories and be on the pace instantly. And for GT cars, if you have been trained in open-wheel racing, everything will seem to be a bit slower, so again you can be competitive after some adjusting. How did you overcome the language barrier when you first started racing in Japan? At first I was talking with my hands and feet and the use of very basic English that I knew could be communicated easily. But as I was always aware that communication within a team is a basic ingredient for success, I spent many hours a day studying the language – even starting a few months before I entered the country. I studied by myself with a book and went to the race team almost daily to try out my new words with the mechanics at the workshop. There was no internet in those days, so it was a bit tougher to learn a language than it is now. I thoroughly enjoyed reading your book (Driving on the Edge: The Art and Science of Race Driving) and learned a great deal, thank you. I realize there is a lot more to learn, too. You gave some great information about the importance of physical fitness but how do you prepare yourself mentally before a race? Before you go to a race meeting, there is a lot of preparation necessary as described in the book. That should put you in tune with the circuit you are about to race. Before you actually start a race, you shouldn’t have any doubts left about any driving or cornering technique on that day. Before going to sleep and on waking up in the days before the race meeting, mentally drive the circuit several times. That is mental preparation, since when you have a clear picture about your upcoming driving, you can have a clearer mind. Just before the race, put yourself into a sensible positive-aggressive state of mind, by listening to music that creates that mood for you. If you carry naturally a lot of testosterone, like a friend of mine does, then it makes sense to calm yourself down by listening to classical music, as over-aggression often leads to first-lap accidents. When sudden nervousness comes up before the start, as will happen from time to time, immediately focus on what you are doing right now at this moment; don’t think ahead or worry about what may happen or not happen. Escape to the current moment and don’t allow other thoughts to come into your mind. During the race, just focus with 90 percent of your energy on pure corner-by-corner driving. Don’t think about lap times, just focus purely on going from one turn to the next turn. Keep the other 10 percent of your energy on watching out for flags and signaling as well as the competition in your very near environment. I just graduated from school. I’m 17 and I really want to get into motorsports. Is there anything you can tell me about how to begin a racing career – like where to start, what racing series I can join? Thanks. A lot depends on your budget and funding possibilities. The first step is to earn your license at a racing school and learn the basics. The guys there can advise you on the next best steps that might be available in your area. As you are starting at 17, I recommend probably going straight to cars and skip karting, which makes it a bit tough. After going to a racing school, a one-make saloon/sedan series could make sense unless you’ll be able to find the funding for a junior formula car series immediately. Can you offer me some advice about how to start looking for sponsors? This is one of the toughest parts of racing. The first step is to make use of any available contacts within your family and immediate circle of friends. Offer them opportunities to join you for track days and appearances in their local businesses as an exchange. My first sponsor was a local car dealership, for example. As your career progresses and you have built some profile, you need to work with clever marketing people or a management company which will take care of this part of the sport. There are several good books on this, but in the end it comes down to working with the right people.